Chaotic racing! 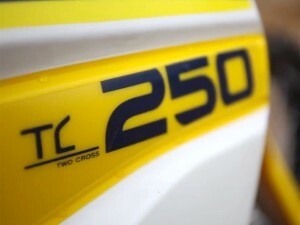 Turning into a super exciting championship in the 450’s! 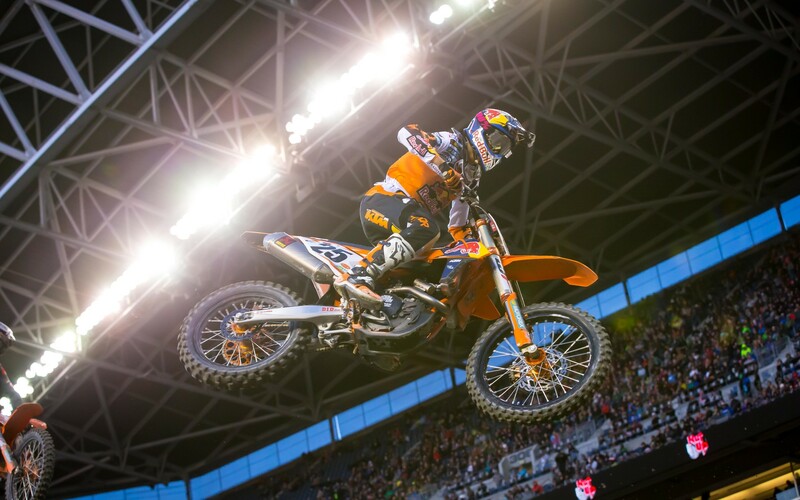 Red Bull KTM Factory Racing Team’s Marvin Musquin earned his second victory of the season on Saturday for Round 14 of the AMA Supercross Championship in Seattle, Washington. Musquin had a flawless day of racing as he claimed the heat race victory before going on to lead all 20 laps of the 450SX Main Event. 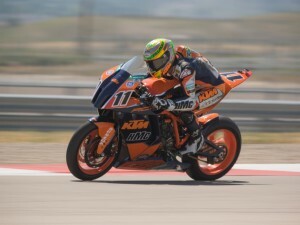 His teammate, Ryan Dungey, finished just off the podium in 4th place after a first-turn crash forced him to have to pick his way through a majority of the field. 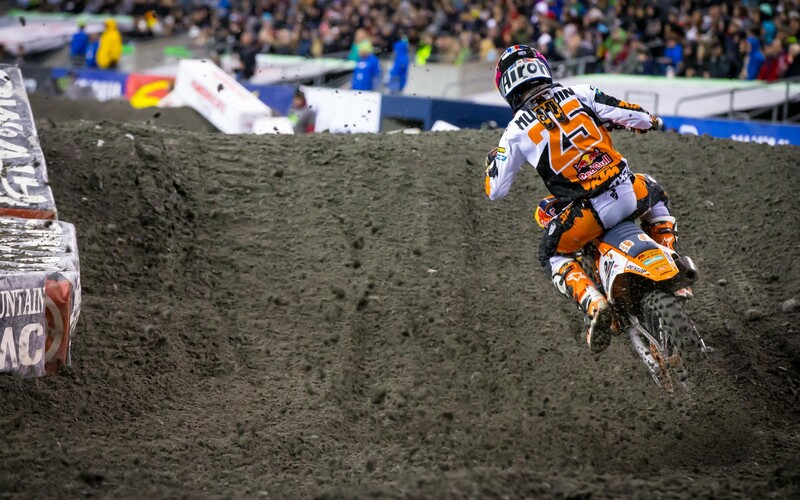 Marvin Musquin escaped a first-turn pileup in the Main Event, where he put his KTM 450 SX-F FACTORY EDITION into the lead position off the start. Ryan Dungey wasn’t so lucky as he got pinched off in the first turn where he ultimately hit the tuf block and went down, allowing the rest of the field to get away. 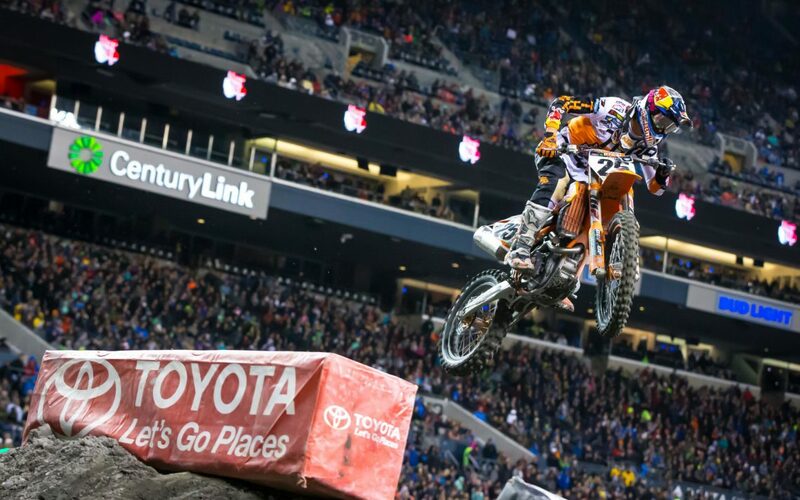 Musquin jumped out front and never looked back as he led all 20 laps of the 450SX Main Event. Despite the chaos behind him, Musquin was able to keep his composure to earn his second victory of the season in Washington. 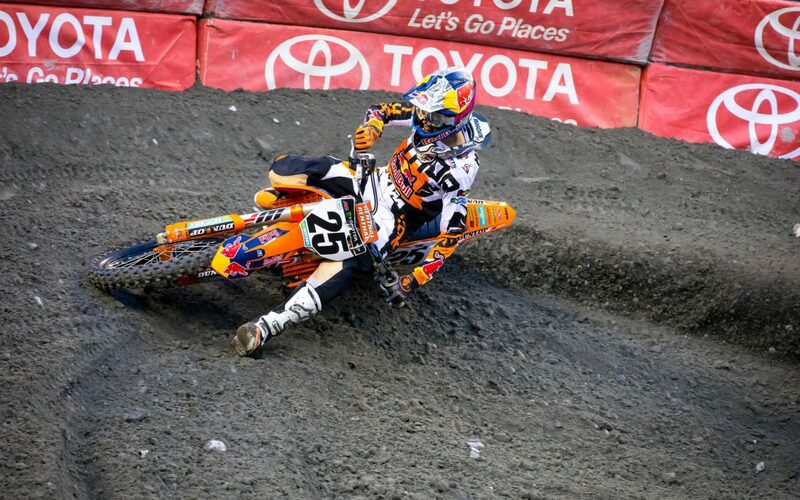 Dungey continued to climb his way through the pack, where he ultimately finished 4th place for the night. 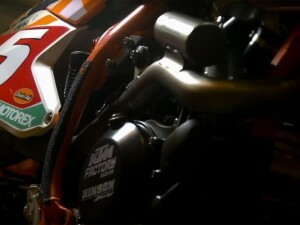 Dungey heads into the final three rounds tied with Eli Tomac in the 450SX championship standings.